It’s that time of the year again — the summer has passed in the blink of an eye, and it’s back to school already! Regardless of whether a student had kept up with practice during the summer break or been completely away from the piano while on vacation, everyone now faces a new routine. When your routine changes, it’s very easy for piano practice to get disrupted. For those that have been away, getting back to practicing regularly could be a challenge at the beginning, especially with a new schedule in the mix. Here are some tips to help smooth the transition to bouncing back in your piano practice, stress-free. 1. Select the best time for piano practice. 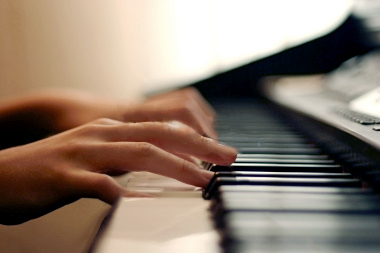 Set aside the same time each day for piano so that it is integrated into your daily routine. Some prefer first thing in the morning, while for others, after school is the best time. The worst time to play piano is late at night or right before bedtime, when you are worn out from the day’s activities, and your energy level and ability to focus is at it’s lowest. Decide what’s best for you and implement it from the first day of school. 2. Alternate piano practice and homework time. Piano is usually practiced within a relatively fixed length of time, therefore playing piano BEFORE homework may often be the best option, when possible. Or you can also take turns between piano practice with homework. For example 2 songs on the piano, 15 minutes of math, 1-2 songs + scales on the piano, 20 minutes of reading, etc… will help your practice time will feel like it’s going by much faster! 3. Short term rewards. Getting back on a regular piano practice routine is hardest at the beginning. Consistency is KEY — after the first week or two, it will become and feel like a natural part of your schedule. A tip for parents: a little incentive can go a long way to motivating your child during this time, whether it’s something as simple as rewarding stickers for each day of piano, or an ice cream treat on the weekend after a solid week of practice! 4. Most importantly, DON’T GIVE UP! If you end up missing one day while adjusting to your new schedule, it happens. Just get back to it the following day and make it up for it by extending your next few practices by 5-10 minutes.